Sometimes the tips for a sustainable life do not feel so sustainable after all. Adding the weight of caring for the earth to our already long lists of responsibilities can seem daunting. Here at Intersect, we’ve talked before about the importance of caring for the earth as part of our Christian stewardship. Laura Thigpen explained both why and how Christians should be engaged in the environment, and David W. Jones offered reasons Christians care for creation. How, then, can you practically live out your care for creation — without getting bogged down in an impractical list of overwhelming do’s and don’t? Our union with Jesus Christ as the maker and restorer of all things is the basis for our desire to create a sustainable life. If you are still skeptical about creation care as a whole and you’re afraid that recycling your milk carton might turn you into a hippie tree hugger or worse—an environmental Chicken Little—fear not! Creation care is just one more area where the gospel intersects with our daily life. So, without further ado, here’s the first sustainable way to live a sustainable life. Creation care is just one more area where the gospel intersects with our daily life. I remember the night my college pastor at the time looked me straight in the face and scoffed, ”It all goes to the same place anyway, right? Just put them in the trash.” I had asked if he wanted to recycle the 20+ plastic water bottles we just drank in their basement as we had our summer Bible study. I was shocked at the assumptions behind his comment. Nevertheless, his comments are a fair representation of the evangelical understanding of creation care today. Why does it matter? Do recycled materials end up in landfills just like waste? Doesn’t recycling cost more money and use more energy than waste management, defeating the purpose of recycling altogether? 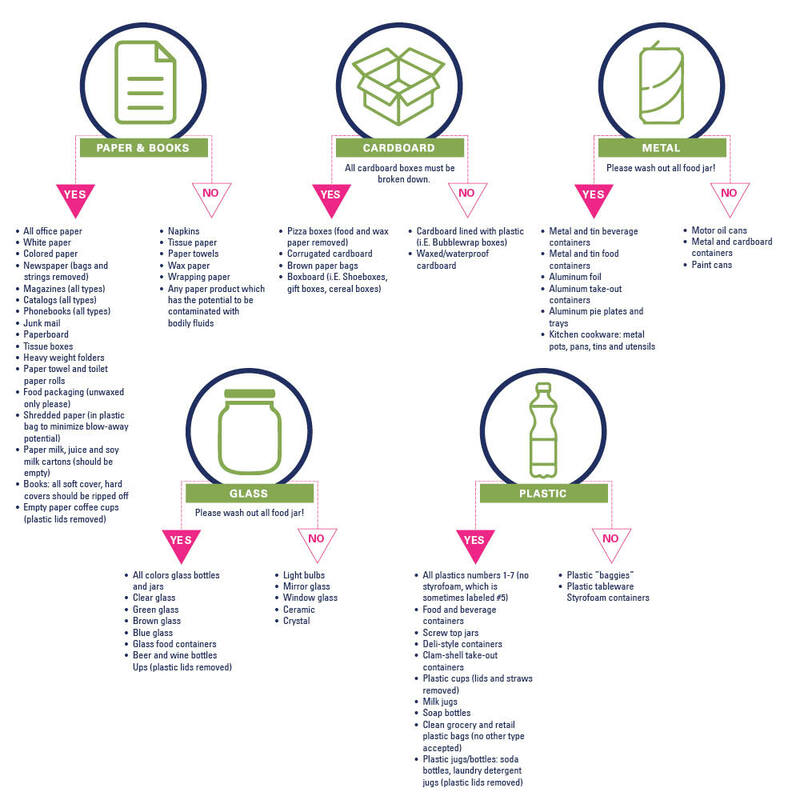 These are some of the questions and assumptions that can keep us from recycling. Although they are good to consider, these questions should not keep up from making recycling a habit of our sustainable life. Recycling does matter because it is doing exactly what is claims to do: re-cycling the same products and materials so that they can be used again — instead of all the materials ending up in landfills and requiring completely new materials to be made, endlessly adding to the number of manufactured products. This process of recycling is more consequential and important than we can probably dare to imagine. Think about if every material that has ever been recycled was added to a landfill somewhere, would there be enough space in landfills? The Recycling Coalition of Utah estimates that “of the garbage Americans throw out, half could be recycled, which is enough to fill a football stadium from top to bottom everyday.” The effects of waste without recycling would be devastating. This is just the impact of plastic waste, which is one of the easiest items to recycle! It is evident that recycling is extremely important, and in the long run actually saves money, energy and resources compared to the resources used to create new materials. As for the question about the integrity of recycling: do recycled materials end up in landfills just like waste? There have been reports of some cities just dumping recycled materials in with their waste to save the effort of sorting and transporting. This is not what usually happens, but an unusual and disappointing exception. This assumption should not keep you from recycling because it is just that: an assumption, and an exception to the norm. I like to think of this situation much like I think of giving money to my homeless neighbors. Some people fear that if they give money to homeless people, it will be spent irresponsibly; as a result, it is irresponsible to provide people with opportunities for poor choices. I believe this misses the point. As Christians, we are not commanded to give to the poor and love our neighbor only if they do things the way we would do them— we are just called to love. We are commanded to be obedient on our end, regardless of the outcome. The same is true with recycling. The Lord has given us a simple, daily way we can reduce our waste, care for the earth and love our neighbor through recycling. Again, we should be obedient on our end, regardless of the outcome. Recycling in your home can be as easy as choosing to place recycled materials in a different garbage can. To make this easy, in my home I have a small garbage can under my kitchen sink that I put all recycled materials in. When it is full, I take it out and dump it in the recycling bin. This eliminates any piled-up stacks of recyclables waiting to go outside, gets the mess out of sight and it is as easy as throwing something away—by just placing it in a different garbage can! You might be surprised at how many things are recyclable just by paying attention! Be on the lookout for future posts with more tips for sustainable ways to live sustainable lives. Brianna is a founding member of Save Our Sisters, an anti-trafficking organization that pursues justice and healing for victims of human trafficking. She graduated from the College at Southeastern with a BA in English and a Minor in Justice and Social Ethics, and she hopes to continue to develop her love for writing and use it to glorify Christ by giving a voice to the voiceless and vulnerable. You can find more of her writing at saveoursisterstoday.com and briannacopeland.wordpress.com.